Version 6.3 of WUFI® Pro is now available. 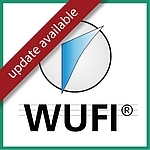 Users of WUFI® Pro 6 can download the update free of charge. You can use the link you received with your purchase of WUFI® Pro 6 and which is displayed in your account at our online shop in the “My Orders” menu. When buying a new license of WUFI® Pro, you will receive the latest version WUFI® Pro 6.3.2. Moisture management in buildings is a trending topic, as moisture related problems not only affect old buildings, but energy efficient new ones as well. In the United States, roughly 50% of all households reported the prevalence of dampness and mold. European households discovered these same issues, reporting them in about 20% of households. 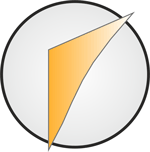 The Fraunhofer Institute for Building Physics IBP has conducted research in this field for many years, and is dedicated to solving to these problems by providing software, experience, and solutions to organizations such as ASHRAE (American Society of Heating, Refrigerating, and Air-Conditioning Engineers). 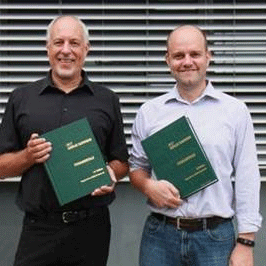 With contributions of Fraunhofer experts, a new chapter on moisture management in buildings was developed for ASHRAE’s Handbook of Fundamentals. The WUFI® team now has an official Twitter account. Follow @WUFI_IBP_EN for news, tips and info about WUFI® Pro and WUFI® 2D. The new versions WUFI® Plus 3.1.0 and WUFI® Passive 3.0.1 have been released. Please find an overview of alterations and setup instructions in the update overview. Free-of-charge updates are listed on the WUFI® online shop in the section „my orders“. The displayed link allows you to download the respective latest version which can be updated to for free. WUFI® Pro is now available in version 6.1. Users of WUFI® Pro 6.0 can download the update free of charge. You can use the link you received with your purchase of WUFI® Pro 6.0 and you also will see it in your account at our online shop in the “My Orders” menu. When buying a new license of WUFI® Pro, you will directly receive the latest version WUFI® Pro 6.1. For an extended evaluation in WUFI®, the two new post processing modules WUFI® Corr and WUFI® Mould Index VTT are published together with WUFI 6.1. Further the add-on program “Lokalklimagenerator” allows the adaptation of the new German Hygrothermal Reference Years to differing local conditions. Under specific hygrothermal (temperature and humidity) conditions, various surfaces in buildings can experience mold growth. In addition to obvious aesthetic and sanitary issues, mold growth is also a significant health risk. Mold spores are known to cause various illnesses in humans. To prevent mold growth it is important to develop methods that account for transient hygrothermal boundary conditions and inform designers if the environment would support mold growth. The most important factors are temperature, humidity, and substrate material. Decay of buildings is often related to corrosion of metallic reinforcements. If wet conditions occur on the surface of steel reinforcements, corrosion can start, unless the inserts are protected by the alkalinity of the environment. Corrosion may weaken reinforcements and produce expanding oxides that lead to the detachment of covering materials, thus being harmful for the durability of the construction and challenging for its restoration. When dealing with heritage buildings the problem becomes even more complex due to the need of non-invasive and reversible techniques. Here the only possibility is often to limit the corrosion rate by controlling moisture and temperature conditions in the assembly. A supplementary version of the guideline for the hygrothermal simulation of ventilated pitched roofs is now online.